Two tables (20 tickets) to the Spring Benefit, logo link on our Spring Benefit website, Video Screen Ad, VIP Reception access for all of your guests,VIP seating, and your company logo displayed at the event. One table (10 tickets) to the Spring Benefit, logo link on our Spring Benefit website, Video Screen Ad, VIP Reception access for all of your guests, and your company logo displayed at the event. One table (10 tickets) to the Spring Benefit, listing on our Spring Benefit website, and a Video Screen Ad, and VIP Reception access for all of your guests. One ticket to the VIP Reception and the Spring Benefit Dinner with priority seating. Autographed copy of My Menus by Jacques Pépin. One ticket to the VIP Reception and the Spring Benefit Dinner. One ticket to the General Reception and Spring Benefit Dinner. 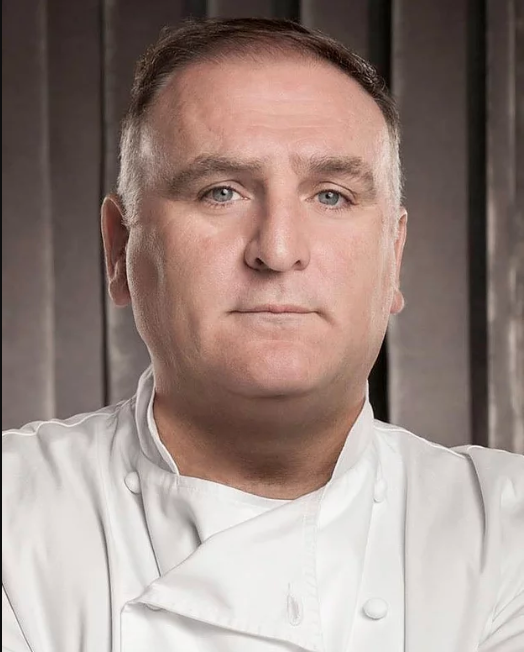 Named one of Time Magazine's "100 Most Influential People" in both 2012 and 2018, and awarded "Outstanding Chef" and "Humanitarian of the Year" by the James Beard Foundation, José Andrés is an internationally-recognized culinary innovator, New York Times best-selling author, educator, television personality, humanitarian, and chef/owner of ThinkFoodGroup. A pioneer of Spanish tapas in the United States, he is also known for his groundbreaking avant-garde cuisine and his award-winning group of 31 restaurants located throughout the country and beyond, ranging in a variety of culinary experiences from a food truck to his multi-location vegetable-focused fast casual Beefsteak, to world-class tasting menus like two Michelin-starred minibar by José Andrés. Andrés is the only chef globally that has both a two-star Michelin restaurant and four Bib Gourmands. In 2010, Andrés formed World Central Kitchen, a non-profit that provides smart solutions to end hunger and poverty by using the power of food to empower communities and strengthen economies. Notably, his team served over 3.7 million meals to the people of Puerto Rico following Hurricane Maria, an experience about which he wrote the bestselling book "We Fed An Island: The True Story of Rebuilding Puerto Rico, One Meal at a Time." To date, World Cental Kitchen has served over 7 million meals and counting to survivors of disasters in Puerto Rico, California, Hawaii, Guatemala, Indonesia, North Carolina, Florida & Mexico. As a naturalized citizen originally from Spain, Andrés has been a tireless advocate for immigration reform and immigrant rights in the United States. Andrés has earned numerous awards in recognition of his humanitarian efforts, including the 2015 National Humanities Medal. Award presentation by Jacques Pépin. Diane Harris Brown has been a supporter of Spoons and its mission for two decades, and was one of the original founders of the organization. A graduate of New York City College of Technology's Hospitality Management program, Diane has always recognized the fundamental need for children to receive food and health education. Both in her professional roles at the James Beard Foundation and her philanthropic roles at Spoons and other organizations, Diane has worked to ensure that children of all backgrounds receive the tools they need to live healthy and successful lives. 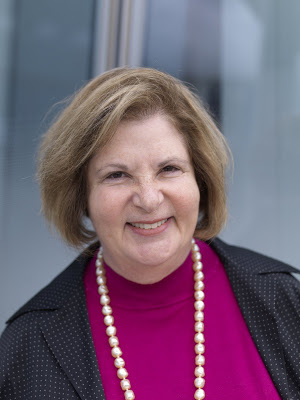 Diane held the positions of Director of Educational and Community Programming, as well as Director of Scholarships, for the James Beard Foundation, where she helped create lasting scholarship and educational programs that enriched thousands of lives. As a volunteer and champion of Spoons, Diane continues to spread the word about Spoons' programs and has connected Spoons to some of its strongest supporters over the years. Diane's early vision for an organization that could provide high-quality hands-on education to children laid the groundwork for Spoons to be the success that it is today. Award presentation by Julia V. Jordon. Since our founding in 2001, Spoons Across America has developed a holistic nutrition-based curriculum, for 1st through 5th grades, to ensure that children are empowered to make healthy eating choices. Today, our programs, Spoons Food Explorers, Farm to Book, Take a Taste with Spoons, Spoons Recipe Days, The Dinner Party Project, and Spoons Summer Recipe Days, awaken and inspire a lifelong passion in children to explore smarter, more nutritious, and more diverse food choices. We are dedicated to improving children's relationship with food so that they may enjoy the benefits of healthier bodies, healthier lives, healthier families, and healthier communities. Please click our logo in the next section to learn more about Spoons Across America's programs.